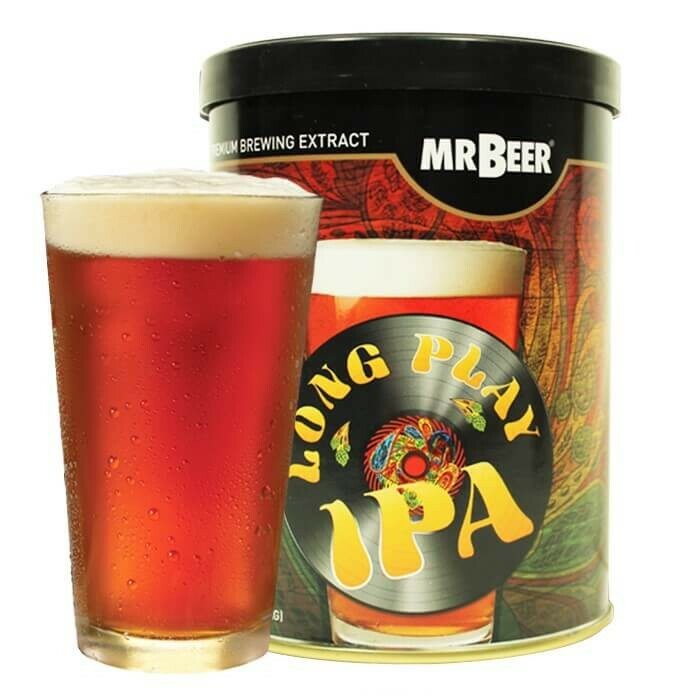 Long Play IPA blends the beloved hoppy flavour in a traditional IPA with a lower alcohol content to create a world-class session brew that you can enjoy over and over again. This beer is the perfect compliment to a late night jam session, a weekend bbq, or just a relaxing evening with friends after a hard days work. With its clear caramel colour, floral aromas, and signature IPA intense bitter finish, friends will have a hard time believing you brewed this beer yourself. Just like an LP vinyl record, the Long Play IPA brings out every nuance and produces long lasting enjoyment, allowing you to "rock-on!"